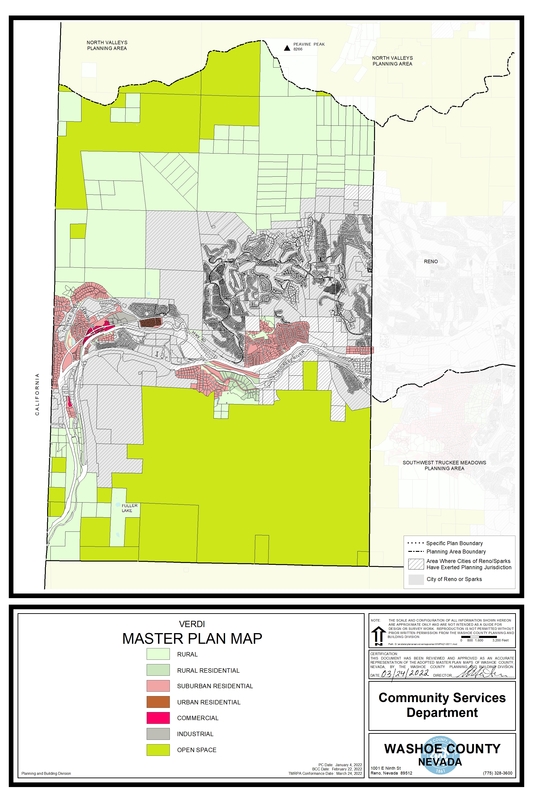 The Washoe County Master Plan is divided into three volumes. 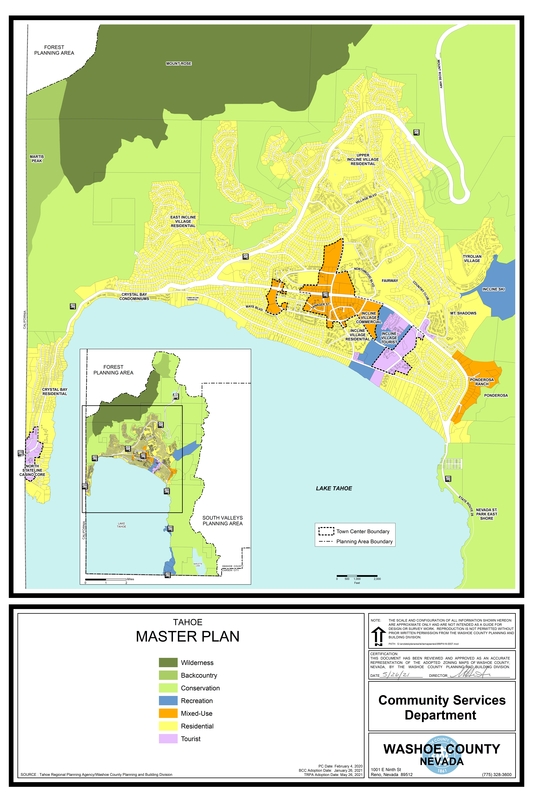 It includes countywide elements, area plans, and a number of more detailed plans (e.g. 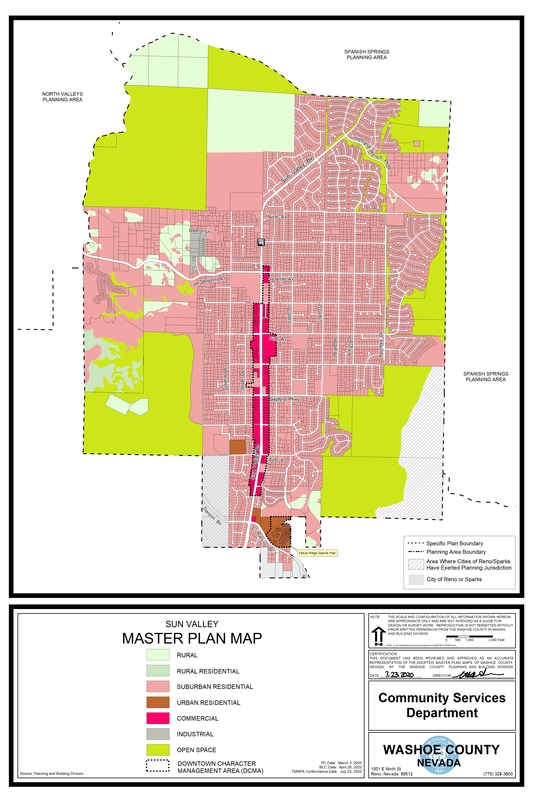 specific plans, community plans, joint plan). 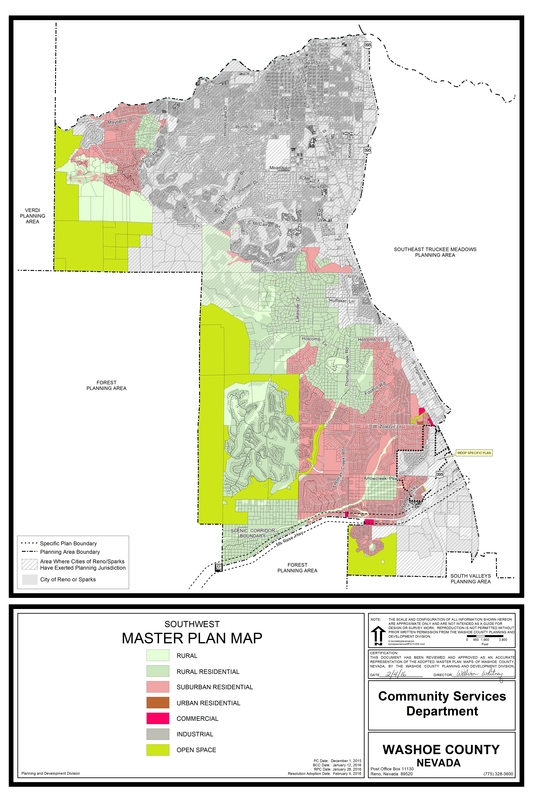 The Master Plan is used to determine the most desirable location of each type of development. 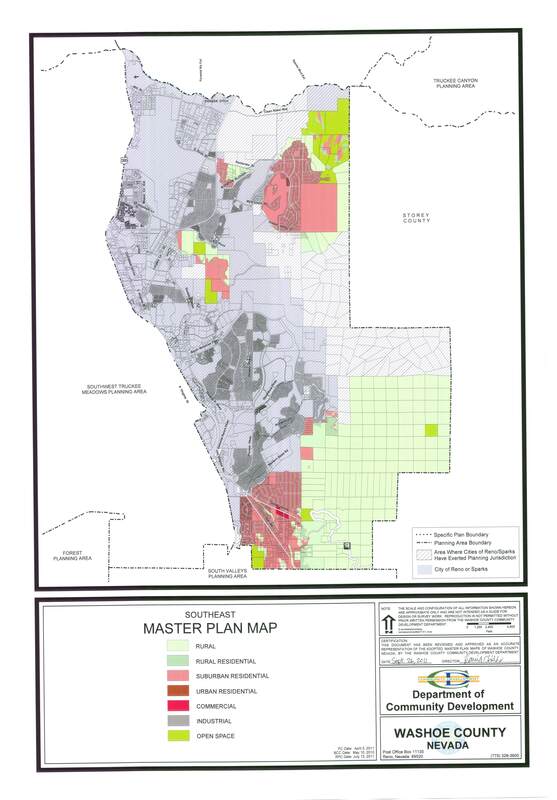 The plan has policies and maps designated to define development suitability and conserve natural resources (e.g. 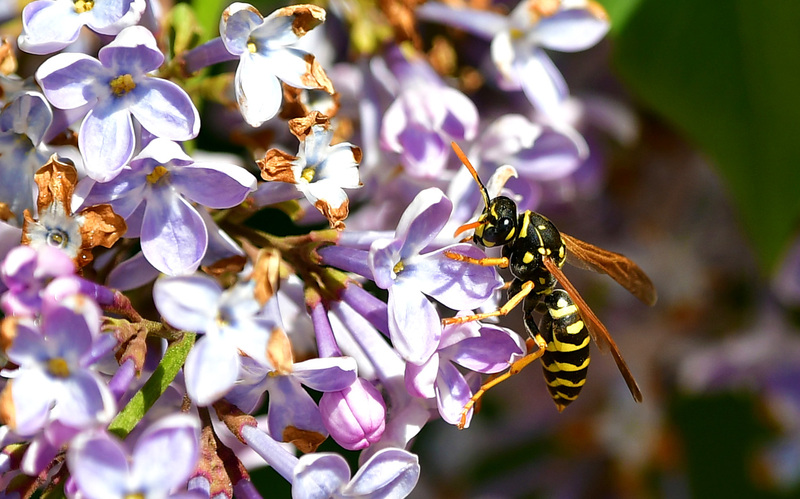 protect critical environmental areas, define water resources, enhance visual and scenic corridors, etc.). 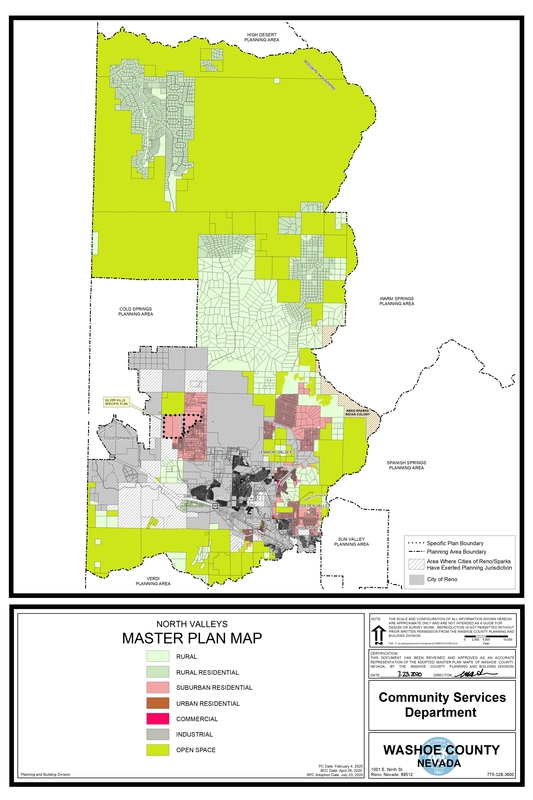 It also includes growth forecasts as well as policies and maps reflecting desires related to land uses and transportation. 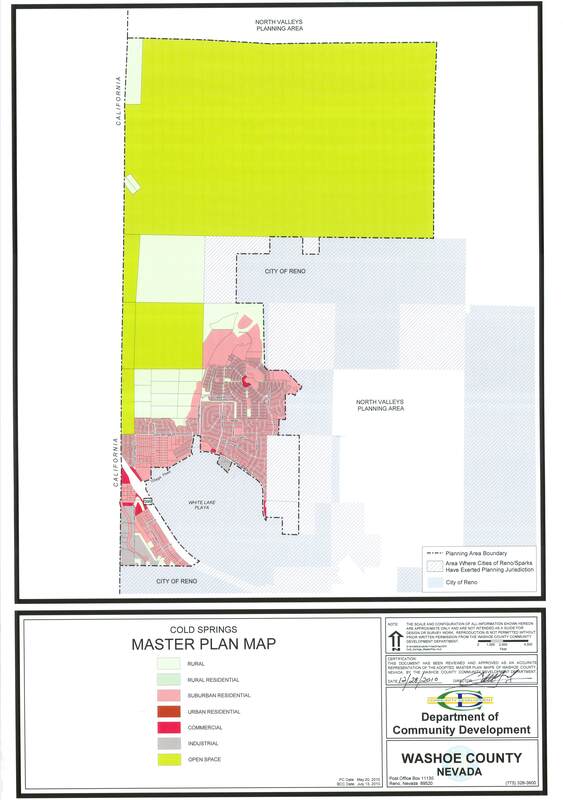 Finally, the Master Plan has standards and maps to guide provision of public services and facilities. 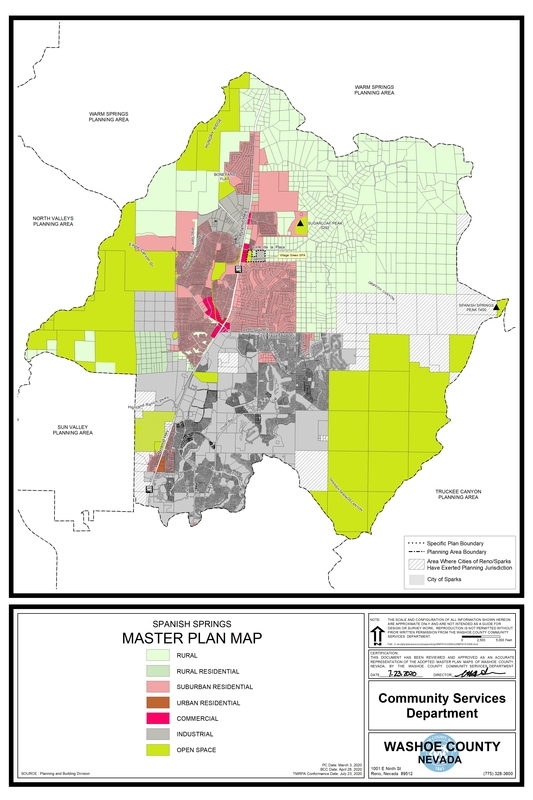 The public services and facilities are implemented through the Capital Improvements Program. 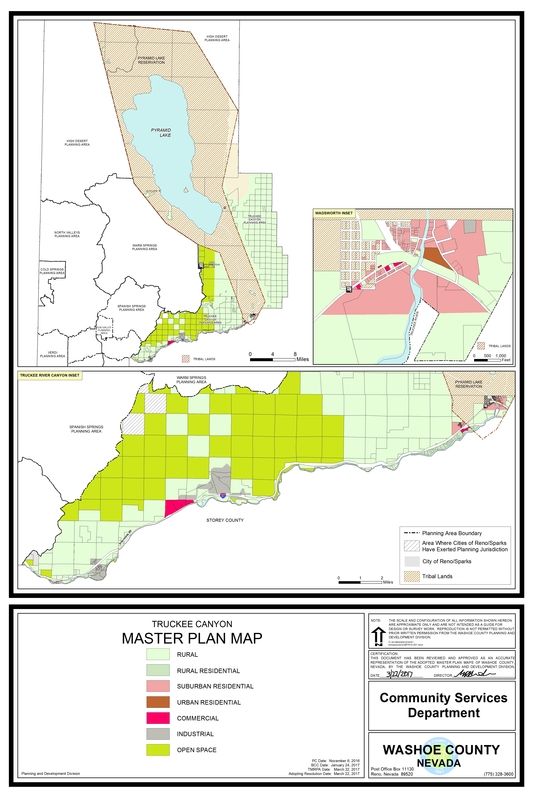 Volume Three - contains the specific plans, community plans and joint plans contained within the various planning areas. 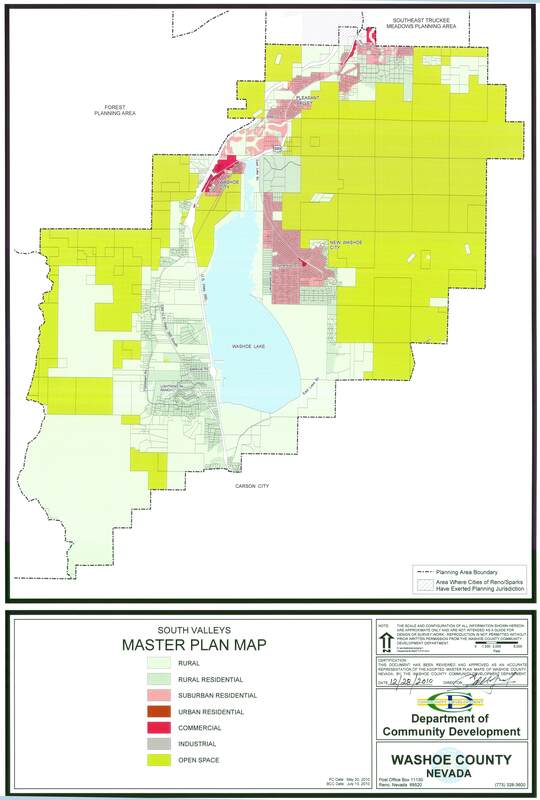 The Planning and Building Division of the Community Services Department is responsible for maintaining and updating the Master Plan in response to changing conditions, legislative direction and new policy direction established by the community. 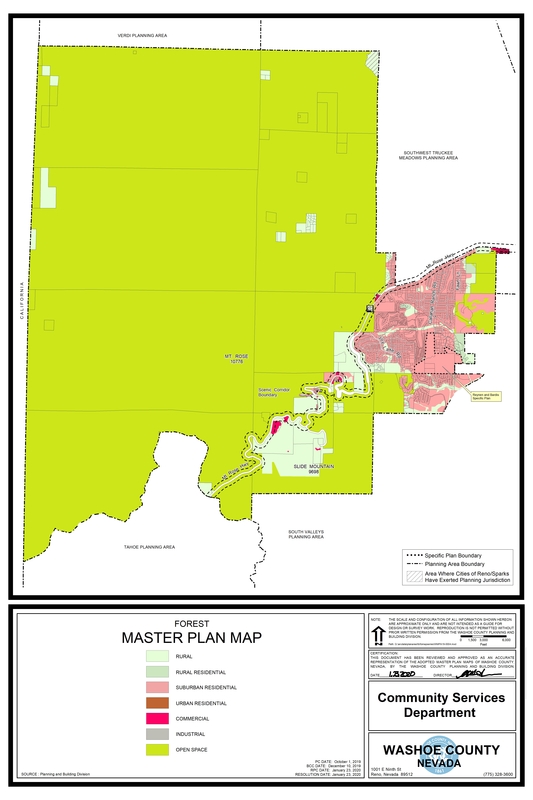 The Master Plan is a dynamic document subject to revision. 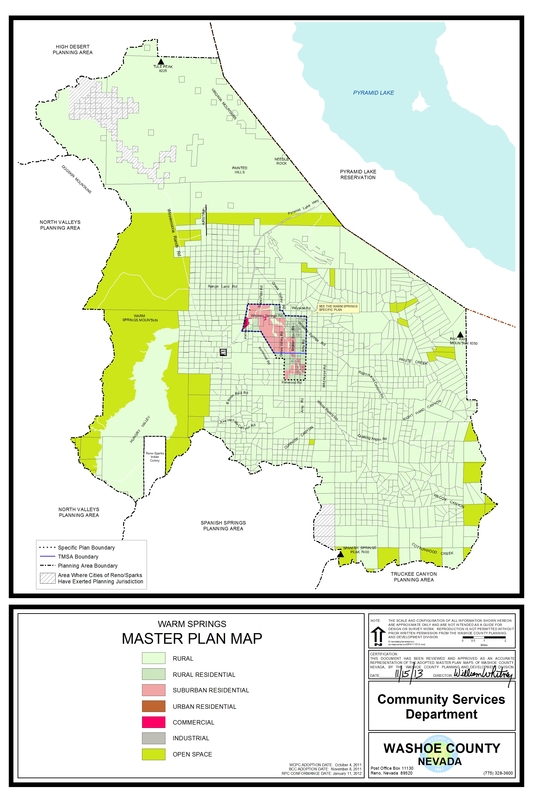 Each component of the Washoe County Master Plan can be amended up to four times per year. Amendments are published as they become available. The date in the footer of each document identifies the date that document was adopted or last amended. Note: All maps are 24" x 36". 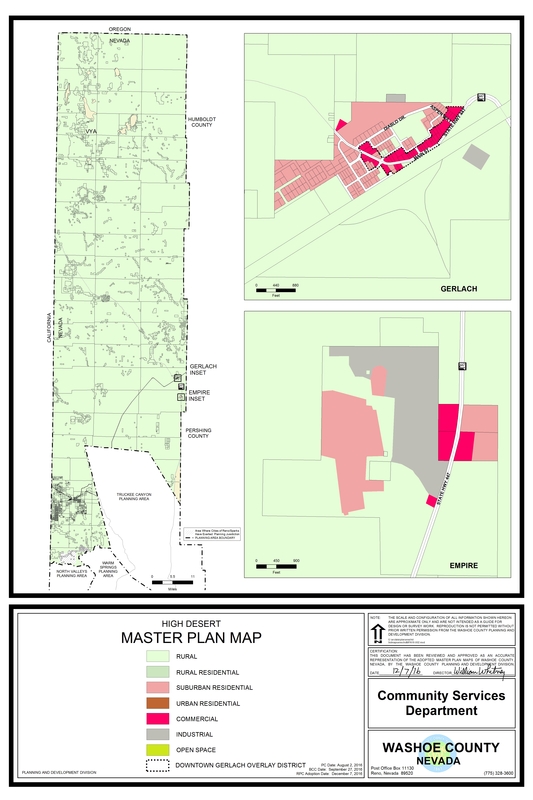 For questions, please contact the Planning and Building Division at 775.328.6100 or planning@washoecounty.us.